There are a number of advantages to visiting Venice during the winter, most importantly the significantly smaller number of of tourists swarming the streets. In addition, low season prices make the cost of accommodation a bit less steep, the winding canals and tiny back alleys are often shrouded in a romantic mist, and, of course, La Serenissima's opulent Carnevale celebrations bring the city out of its winter slumber for a few weeks each January and February. 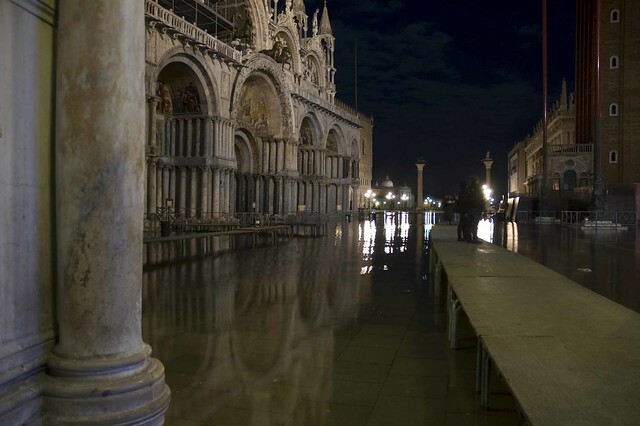 Acqua alta is most common in autumn or winter, especially the months of November and December, though a number of factors from global warming to coastal construction have contributed to both lengthening the acqua alta season and increasing its intensity. Acqua alta is measured by the increase in water level above standard sea level, and can be categorized by “intense”, “very intense”, and “exceptionally high”. The most common acqua alta, “intense”, only effects the lowest quarters of Venice, including St. Mark's Square, and happens about 4 times each winter. “Exceptional high” acqua alta, when the water level rises more than 140 cm above standard sea level, covers almost the entire city in water, though these more dramatic floodings only happen once every 3 years. Usually, acqua alta is a minor inconvenience. 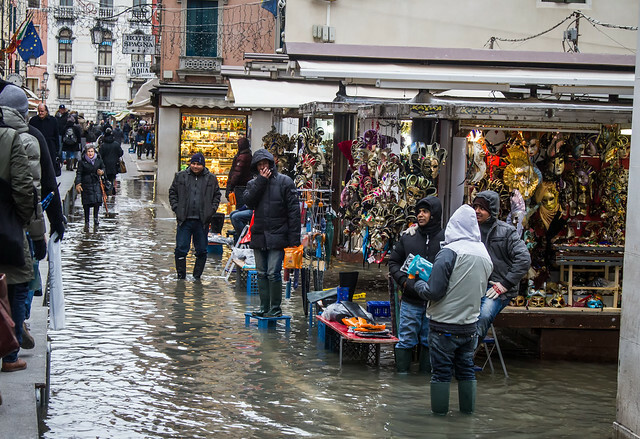 Most often, the high tide only lasts a few hours and only affects a small portion of Venice, so it's easy to fine-tune your itinerary to avoid the low-lying portions of the city until the water levels return to normal. If you find you have to pass through St. Mark's Square, you can walk along the elevated wooden platforms, or “passarelle”, the city sets up during acqua alta, or, if the water level is low, wade through with rubber boots (which can be packed from home, purchased in Venice, or borrowed from many hotels). During more dramatic “exceptionally high” acqua alta, when water levels are higher, the flooded area is larger, and the streets remain under water for longer, you might find getting around a bit more complicated. You will almost certainly need to wear rubber boots, as walkways are only set up along main thoroughfares, and wheeling suitcases around may be difficult or impossible. However, public “vaporetto” waterbuses continue to run, though some routes may vary slightly, and very few shops and restaurants close. 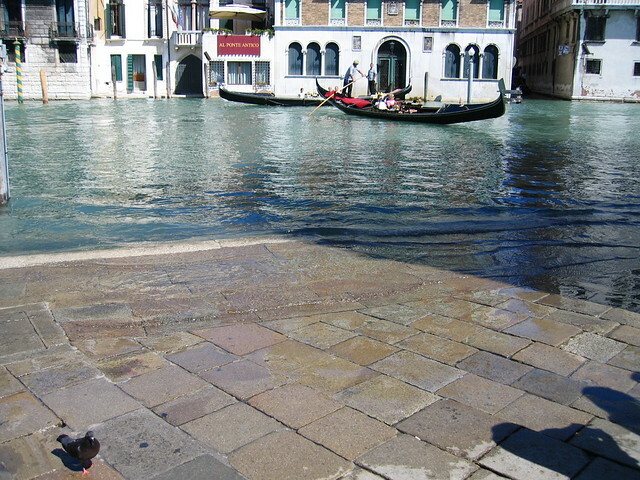 Venetians are used to this seasonal flooding, and simply get on with the business of daily life. The city of Venice carefully monitors sea water levels, so is never caught off-guard with acqua alta. All hotels have updated tide information for their guests, or you can easily check the city website for tidal information or download the city's tide app (one of many free acqua alta monitoring apps available). 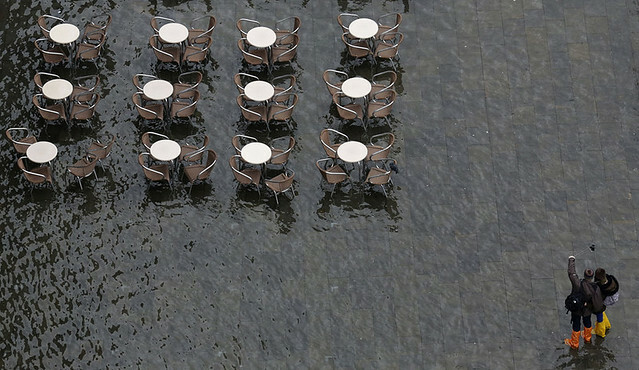 In cases of “exceptionally high” acqua alta, a warning system of sirens sounds throughout the city...though you will likely already have noticed shops and restaurants battening down the hatches. Locals are alerted via SMS, so if you see area businesses getting ready for a flood, sirens and water are usually not far behind. Yes and no. Acqua alta is not a cause of drowning; the water does not enter the city in a tidal wave, but slowly seeps up from the sea level along the canals and lagoon, so you won't be caught in any strong currents. Also, even in cases of “exceptionally high” water levels above 140 cm (55 inches), these numbers refer to the standard sea level, not street level. Water in the streets very rarely rises above 60 cm (24 inches), and is easily waded through, even by children. Acqua alta can be dangerous, however, if you unwisely decide to go for a swim. The flood waters are not crystalline, but cold and dirty from the city grime and garbage that are carried along as the level rises. This soup of sea water and refuse may be picturesque, but is full of bacteria and not something you should submerge in or wade through in bare feet. Also, be careful when walking along a flooded side street flanking a canal. When the pavement is covered in water, it's often not clear when the sidewalk ends and the canal begins, and you can accidentally step off the curb and into chest-high water. Should I rethink a winter trip to Venice? Absolutely not! 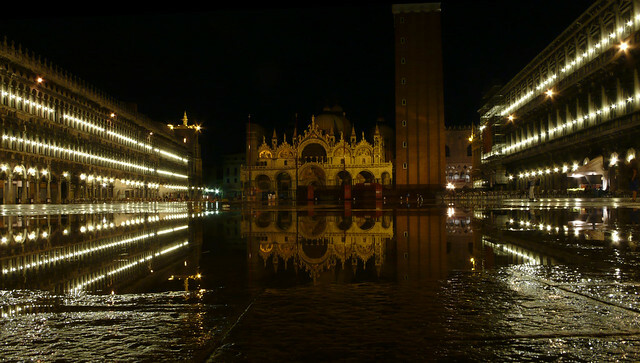 If you run into acqua alta, which is possible but not certain, it will most likely cause nothing more than a few minutes of inconvenience, and makes for a great travel story and exceptional photos of the submerged Piazza San Marco.